Noise pop-turned-industrial rock band HEALTH just released their very good new album VOL. 4 :: SLAVES OF FEAR (read our review), but they aren’t done with the series of collaborative non-album singles that they began ahead of SLAVES OF FEAR‘s release. 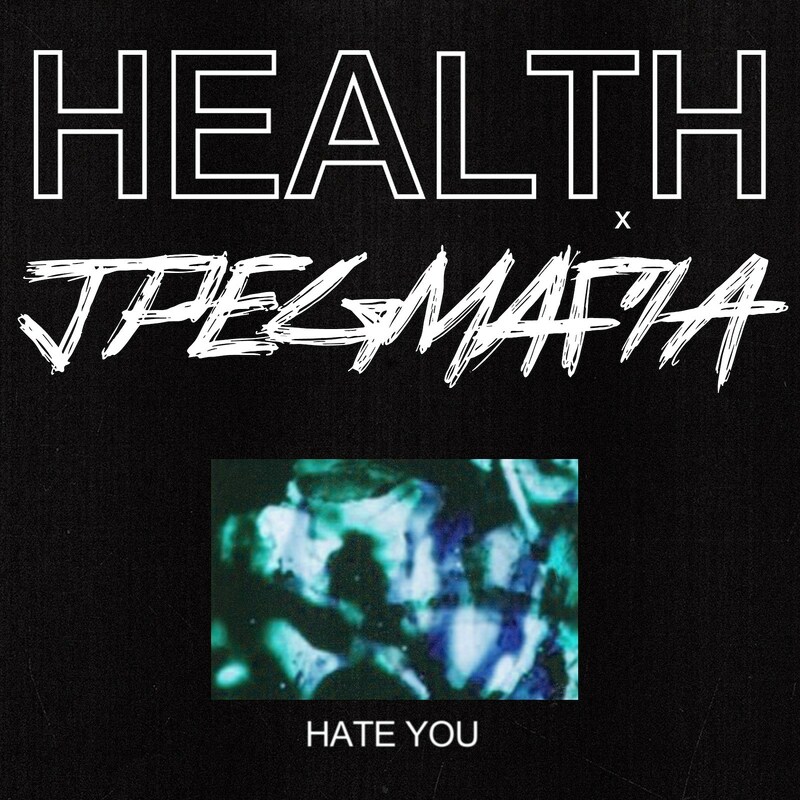 Following collabs with indie pop artist Soccer Mommy, synthwaver Perturbator and EBM duo Youth Code, they’ve now got a collab out with avant-rapper/producer JPEGMAFIA called “HATE YOU.” It’s basically JPEGMAFIA rapping over a HEALTH instrumental, and the two are a great pair. Check it out below. HEALTH have several tour dates coming up, including a Brooklyn show on April 25 at Elsewhere Hall. Since we last spoke, Youth Code were added to the tour and the Brooklyn show is a great triple bill with Pictureplane opening too. Tickets are still available. JPEGMAFIA is playing Coachella and also opening the second leg of Vince Staples’ tour. Vince just played NYC on Thursday night.